Zip it up with Zipper Mahjong Solitaire from 247 Mahjong Solitaire.com! 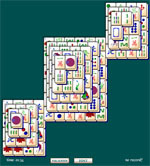 Work your way up or down this mahjong solitaire puzzle board to keep it zipped or unzip it all! 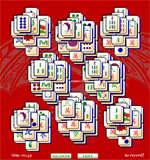 Unzip this entire Zipper Mahjong Solitaire game by eliminating all matching tiles from the board in twos. 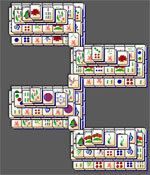 Most mahjong solitaire tiles match to their exact replica, but the season and flower mahjong solitaire tiles can match to all the others in the set. Make sure you look up and down this mahjong solitaire board for any available matches, but if you get stuck use our hint button. We allow one free hint, but we ask for unlimited hints you share us with your friends on Facebook. 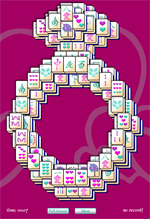 Give them the gift of the best Mahjong Solitaire!